World Class Supply Chain Solutions for the Aerospace Industry! 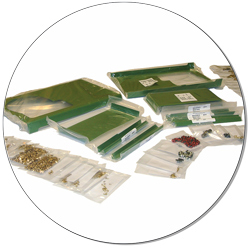 With over 45,000 part numbers in stock, Aero-Glen is ready to respond to your most challenging needs. Our quality assurance system and world class inventory management services ensure you get the highest quality product when you need it. 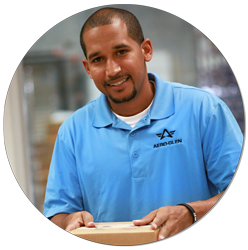 All Aero-Glen products include full traceability documentation to the original manufacturer. Achieve greater efficiency with our customized value-added solutions that save you time, improve traceability, minimize part damage and loss, and reduce inventory and waste. Allowing you to focus on your productivity. Automate the replenishment of inventory, improve your time to market, reduce excess or obsolete inventory, optimize your onsite-inventory management and even reduce your overall warehouse footprint. 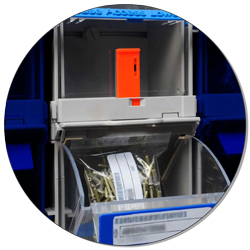 Reduce internal receiving inspection and handling while receiving electronic product certifications, test reports and documentation to eliminate paperwork filing and maintenance. 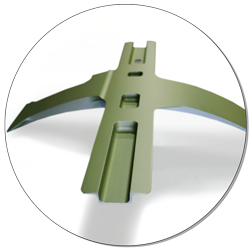 Aero-Glen is a leading supplier of assembly hardware and value-added supply chain services to the Aerospace & Defense markets. Our unwavering customer-centric culture, commitment, and results-driven attitude allows our customers to focus on their core competencies. Our investment in people, product, and processes enables us to achieve total customer satisfaction, providing you a streamlined supply chain with the broadest array of products and services customized to your unique needs. Put our experts to work and lower your capital carrying costs while increasing process efficiencies and reducing waste. Aero-Glen is certified under AS9100D, AS9120, and ISO9001 standards as an authorized distributor of fasteners and Value-Added Kitting Solutions. At Aero-Glen, we are committed to the continuous improvement of our quality systems and processes. Aero-Glen views product quality as the cornerstone of our services. 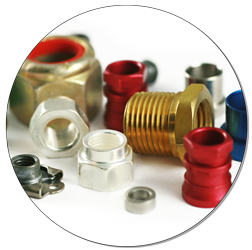 We distribute product to leading manufacturers with all requisite customer flow-down requirements. 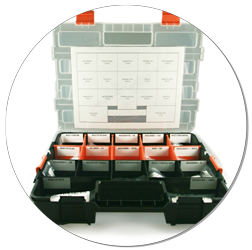 We further inspect products to customer part number and industry specifications to ensure compliance. Aero-Glen is committed to the precepts of Lean Enterprise and Continuous Process Improvement. We proudly accept our responsibility to continuously improve our products, services, and process efficiencies to ensure we contribute to our customers’ success. Aero-Glen is proud to be recognized by our customers for our commitment to service and as a flexible and customer-oriented partner. This commitment to service has repeatedly earned us Performance Excellence awards from our customers.